Barber Wilsons is a company that casts, forges, machines, and finishes faucets and accessories. Every piece that Barber Wilson forges show the art and design of some spectacular workmanship. Each piece is hand polished for a high-quality finish. This family-owned brand has been in business for over 100 years. By choosing Barber Wilsons products you are guaranteed a product that supersedes many other brands. The elegant nature of their designs is worth every penny spent to create a unique and amazing kitchen or bath. The durability of all Barber Wilsons products will withstand many natural elements. 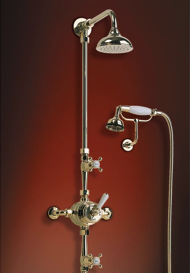 Barber Wilsons – Exposed Thermostatic Shower W/5 Inch Shower Head is a weathered bronze finished complete shower system that is made from premium materials. This Complete Shower System offers great function and value for your home. You can add a touch of antique charm with a modern flare to our bathroom design with choosing one of these beautiful shower sets. 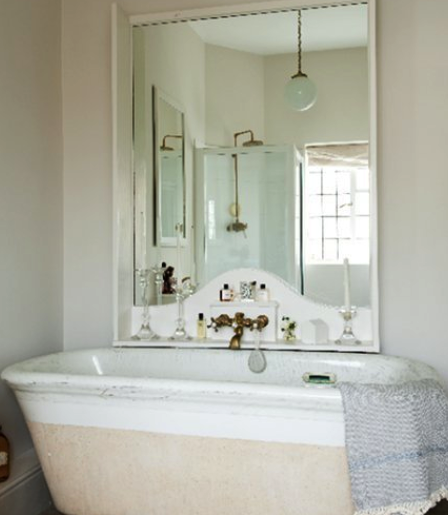 If you are looking for mirrors to add to your bathroom décor. 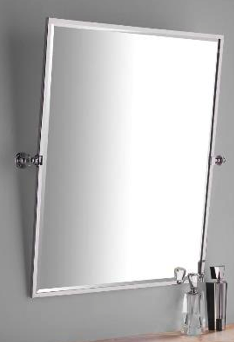 Make sure to finish off your bathroom look with a Barber Wilsons – 30 X 24 Framed Rectangular Tilt Mirror. This mirror has a beautiful frame and can be tilted to adjust to the height of all your guests. It adds a beautiful finishing touch to any bathroom. 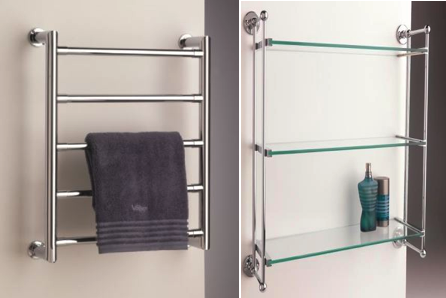 A beautiful piece to add to your bathroom will serve both functionally and beautifully is a Barber Wilsons decorative towel warmer. It is made from premium materials and will keep your towels warm as you exit the shower. There is nothing more wonderful that a warm towel that feels like it just came out of the dryer. Barber Wilson offers so many more solutions for your home. You can purchase Barber Wilsons Baskets, Barber Wilsons Mirrors, Barber Wilsons Soap Dish Holders, Barber Wilsons Toilet Tissue Holders and so much more. You can find all of you Barber Wilson products at Plumbtile. If you have any questions or need any assistance be sure to speak to one of our specialists.